Featured: Reverie Gallery Launch Party! We are so completely honored to have had the opportunity to host & plan the Reverie Gallery Launch Party along side of the incredible Erica Powell formerly of Ambiance Luxe Designs. 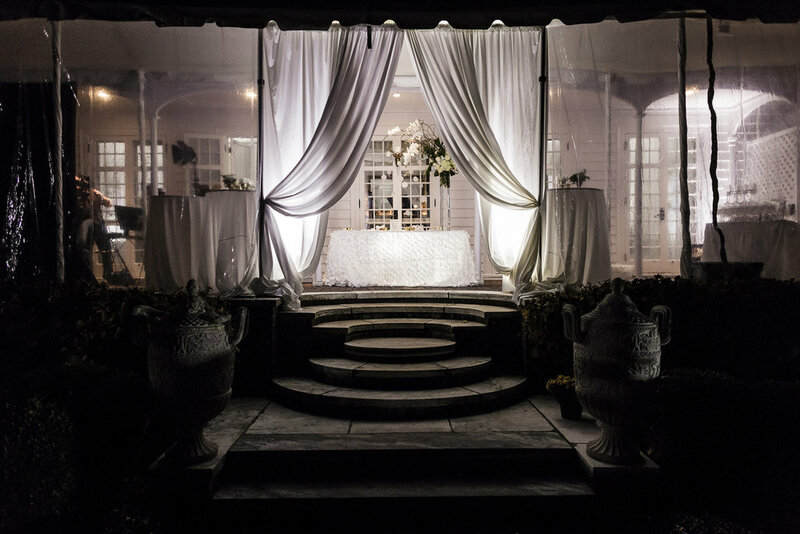 Erica was in the middle of the craziness of building her new venture Reverie Gallery - a luxury wedding blog "for the savvy & stylish soon to be wed" and over a late night chat we discussed the need to throw a launch party of course! The design vision was a literal take on the Reverie Gallery - a dream like gallery space, white simple yet soft walls, with fabulous soft comfy cozy lounges, and white and gold everything. The night of the event was simply perfect, and so much fun! Read more about it by checking out the full gallery on Reverie Gallery's site here or by clicking any of the photos below! Erica - Thank you SO much for choosing us to co-plan your fabulous soiree it was a blast and an honor. You are incredibly inspirational and immensely knowledgeable about weddings, THANK YOU THANK YOU THANK YOU. xoxo. Thank you to the fab Jacklyn Greenberg & Jeremy Rich of JAG Studios for these incredible images! I am in love with this fireplace display by Carrie Wilcox Floral Design - it is simple, beautiful and very cool. I swear Shindig Lighting really knows how to bring a party to the next level - lounge, communal tables, pipe and drape, and of course lighting completely transforms the space. The delicious food & beverage by On The Marc Events was to die for, per the usual! This is just awesome - wedding vendors leaving it all on the table in BSC Cinema's Slo Mo Booth! Awesome Video of the Event by Drew Lavyne of Six Minute Stories! Thank you also to the gals at Naomi Studios for dolling Lindsey & I up for the event! You ladies are so so talented! !